Last week: Nailed It! 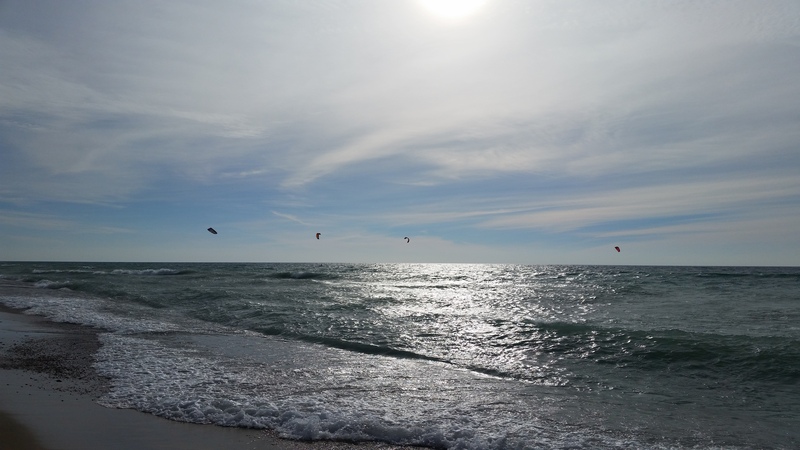 – Plenty of wind for the northern part of the lakeshore on Saturday and Sunday was a decent amount of wind for everywhere. Today: The trend of the last few days continues for the rest of today and tomorrow. The wind will continue to blow out of the NW but come down a little from this morning and be in the 15 to 20 knot range for the rest of the afternoon. This is for the entire lakeshore and the waves should be pretty good as well. Saturday: Ditto to Friday with maybe a little less power, but still enough for some riding through out the day. Sunday: The NW wind trend will finally come to an end as we begin a transition to warmer air and more sun for the coming week. This looks to be a light wind day with the breeze coming out of the West and SW. Not enough wind for kiteboarding. However, if you are lucky enough to have Monday available, keep an eye out for a good S blow. Well the water temp did recover slightly last weekend by making it back up into the low 50’s. Not exactly warm, but it makes a difference compared to the low 40’s.